This one-woman play is clever, honest and funny with Anneka Rice (Sophie Winter) donning her usual bright shiny shellsuit and pink bumbag and taking audiences at The Bunker Theatre in London Bridge back to the 90s. 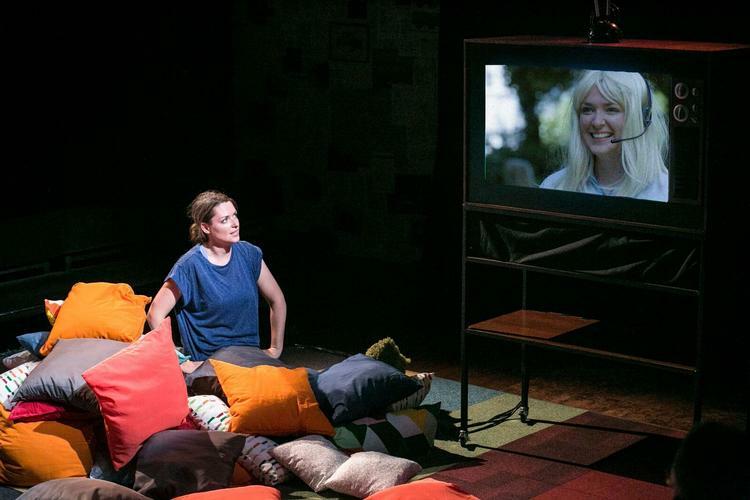 Instead of the grand, communal challenges we were used to seeing Anneka accept every Saturday evening on television, this play sees her confront a seemingly smaller, more personal challenge: one woman's anxiety. Along the way we meet all sorts of weird and wonderful people, all played by Winter in what is a short (one-hour) but energetic performance. The theatre is small and intimate with lots of pillows for the audience to make themselves feel comfortable - and Anneka shares a few childhood favourite treats among those gathered to make them feel even more like they're at home, 25 years ago. Winter uses a series of recordings to introduce dialogue and it is superbly choreographed until her piece de resistance is revealed: a TV cameo from the real Anneka Rice to bring the whole play together. There'll be no spoilers here but the play has a real and positive message, and the irrepressible Winter delivers it superbly. The show is on until 9 June.